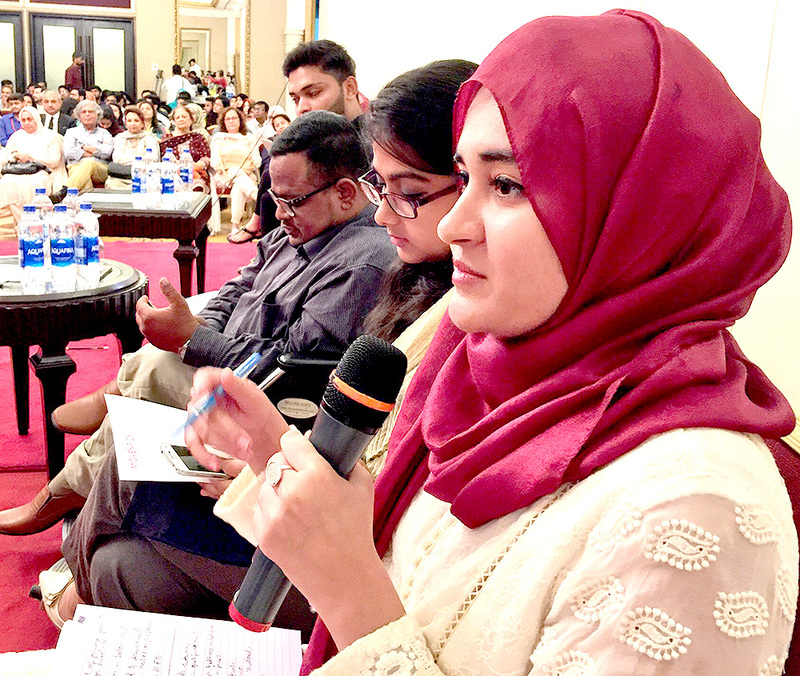 Karachi, Sep 25: PILDAT and UNDP Pakistan organised and conducted a ‘Youth Dialogue on Democratic, Peaceful Governance and Sustainable Development’ in Karachi. Representatives of the provincial government of Sindh as well as members of opposition political parties in the Sindh Assembly engaged with youth representatives belonging to the Sindh province. In a strong and healthy debate centered on concerns of the youth, young speakers brought to light measures taken in the past by the Sindh Government, and asked the provincial leadership and opposition their plans for the future to address these issues. The issues of extreme importance, as identified by the youth were: Employment, Quality of Education to make them employable, and Extremism in Educational Institutions. Representatives of the ruling party in Sindh who joined the dialogue included Former Senator Taj Haider PPP, Senator Sassui Palijo PPP, Sardar Nazakat PPP representative, Former Senator Mukhtiar Ajiz Dhamrah and Mian Vaqar Pagganwala PPP representative. Representatives of the Opposition in the Sindh Assembly who joined the dialogue included Mr. Rashid Khilji MPA MQM-Pakistan, Mr. Abdul Rashid MPA MMA, Ms. Nusrat Sehar Abbasi MPA GDA, Ms. Naseem Rajper MPA GDA, Dr. Muhammad Rafique GDA, Mr. Arsalan Hussain MPA PTI and Mr. Adil Ahmed MPA PTI. Youth speakers included Ms. Kinza Abidi, Syed Ali Hassan, Mr. Muhammad Hunain, Ms. Marium Nayyer, Mr. Waseem Soomro, Ms. Khusbakht Suhail and Ms. Zahra Valika. In his welcome address, Mr. Ahmed Bilal Mehboob, President PILDAT said Pakistan is currently one of the youngest countries in the world, and the second youngest in the South Asian region. This high proportion of youth offers tremendous opportunities for national development, but it also poses huge challenges if the country fails to educate and equip them with required skills and knowledge. It is with this purpose, that is, to provide a platform to Pakistani Youth, to express their views on state policies and matters of their concern, in an informed and structured manner, and to help them learn how to engage in civilized dialogue on contentious issues, that PILDAT initiated this dialogue. In their questions to representatives of the Provincial Government and Opposition, Youth Speakers highlighted issues on education and extremism, promises made to revive student unions, lack of clean drinking water and toilets in primary schools, prospects for higher education, lack of focus on development of rural youth, rights of transgender in youth, corruption in Sindh’s institutions, land reforms, and how the government and opposition can work together for civilian supremacy. A running issue among all Youth, whether they were speakers or participants, stressed upon the lack of jobs even after years of their graduation. Representatives, whether from the Government or Opposition, agreed with the issues highlighted by the youth and that it is a need of the day to invest in youth development of Pakistan especially through education and employment. The matter of revival of student unions was emphasized upon across the board among leadership of political parties present from Sindh Province. Members of opposition highlighted the need to prioritize discussion on youth issues, such as growing menace of extremism in educational institutions, and the extremely low budget allocated for their development. A passionate debate followed at the end of the dialogue, in which influential from the media, like Mr. Mazhar Abbas and Mr. Ghazi Salahuddin, stressed on the need for practice of student youth politics. 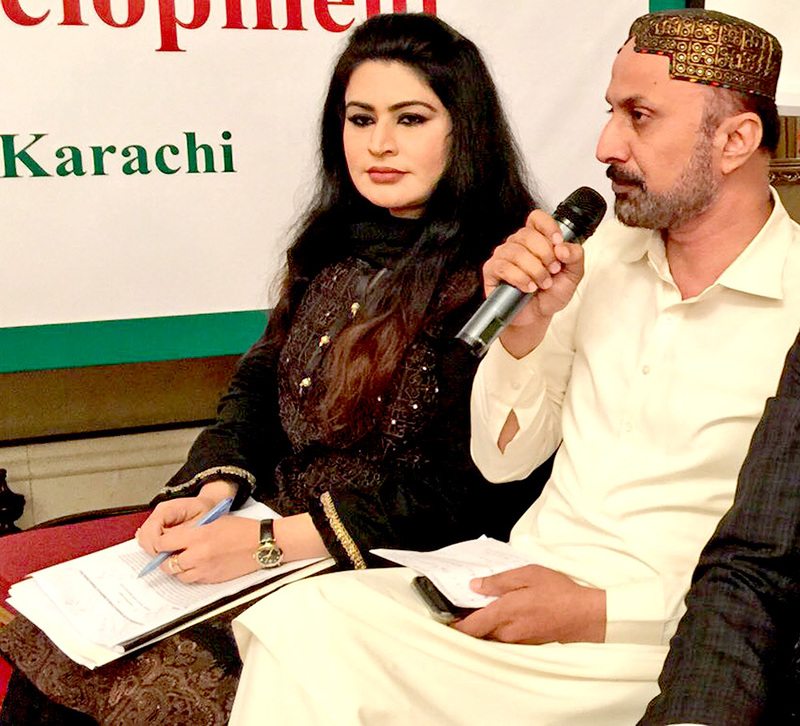 Young students, academics and civil society representatives engaged with the political leadership on crucial and lingering issues of the Sindh province.